Working with the original website's color palette we created a new website. A matching UI was developed for a WordPress install. 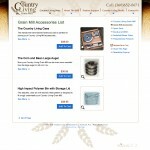 We created a Bigcommerce theme that tied into the main company site. Webvisuals, an authorized reseller of Bigcommerce, took care of coding & designing the Bigcommerce templates for Country Living Mills own eCommerce theme. The Webvisuals team met Jason at a Marysville Starbucks and we listened to him talk about, PHP, eCommerce websites, Country Living Grain Mills & “Jack, the head honcho”. 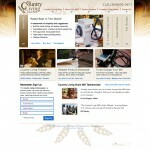 We heard loud and clear, the Grain Mill business was growing and the client wanted to upgrade their online presence. 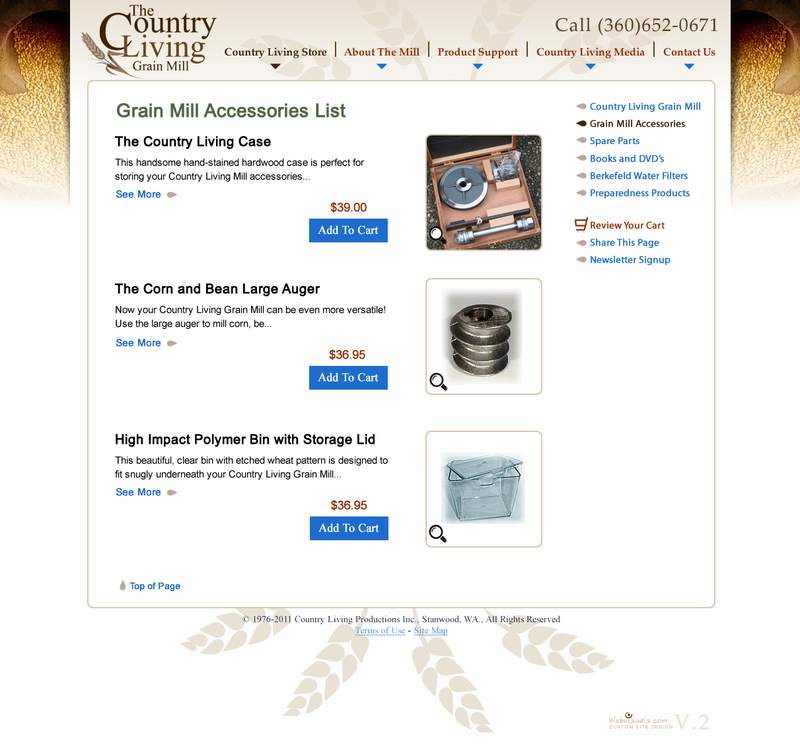 We went all in on getting Country Living Grain Mills to the top of the chart for selling grain mills online. First we rescued their hosting from a sputtering Yahoo shared hosting server and relocated their website onto reliable Webvisuals servers. Next we researched the best keywords to target then wrote the Information Architecture (IA) document to attract those specific keywords. The better keywords were selected and targeted in the web page content outline. With outline in hand we redesigned and hand-crafted the user interface (UI) for the company HTML website and their 3rd-Party eCommerce framework. 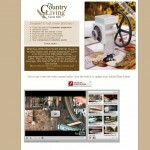 In addition we integrated in a WordPress website with a matching custom WordPress theme with the corporate site. Company employees could now blog and post to keep the website content timely and fresh. Later we built in the ability for WordPress posts to stream into their static corporate website to keep that page updated. 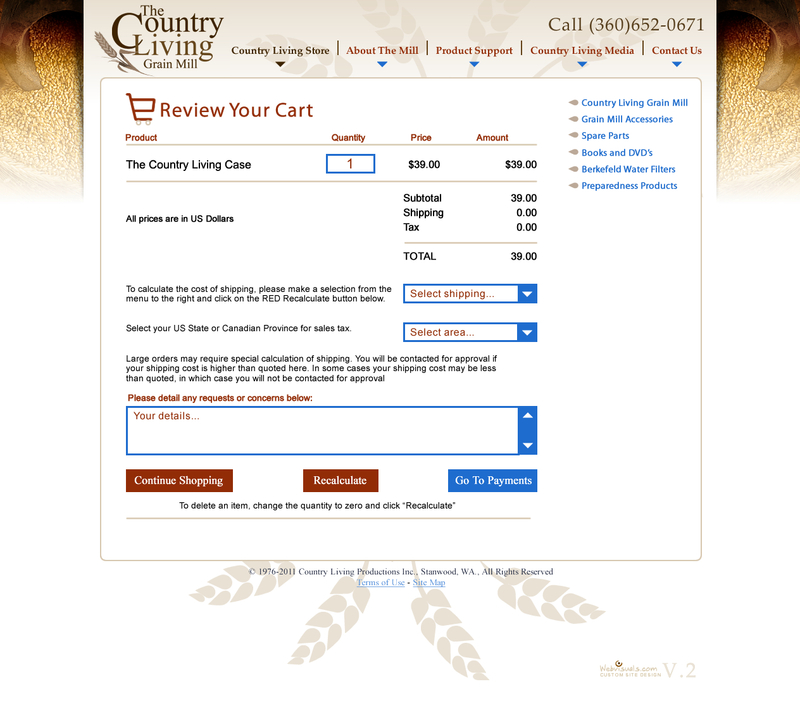 A couple of years later Country Living was having shopping cart issues so Webvisuals introduced the Bigcommerce platform to Jason. 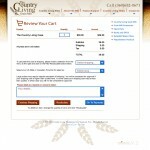 We provided trial store where he could check out the easy-to-use shopping cart admin tool and compare it their existing shopping cart choice. Bigcommerce was the hands down winner. 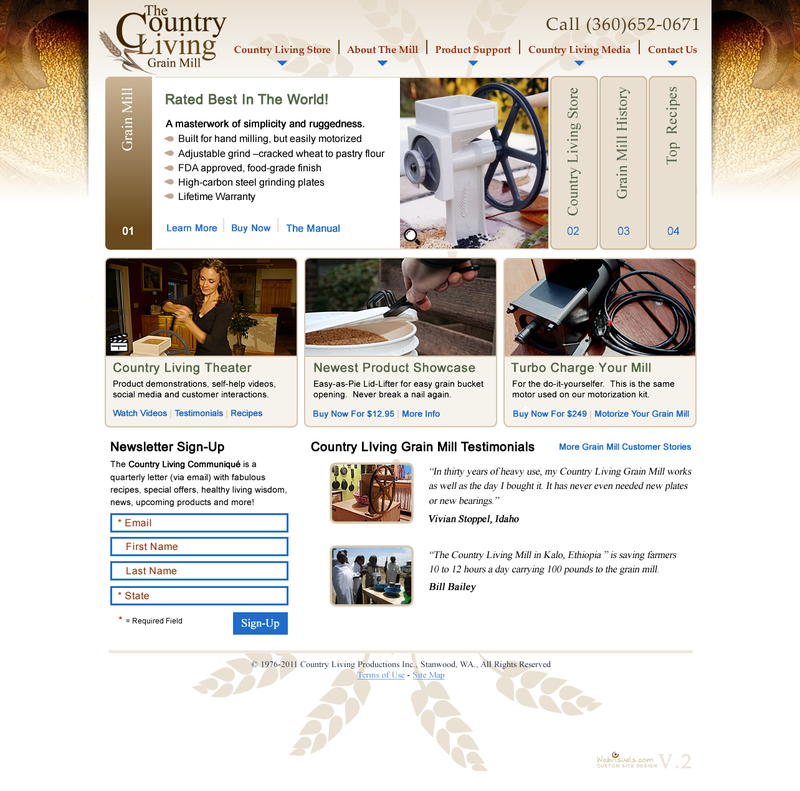 Webvisuals, an authorized reseller of Bigcommerce, took care of setting things up, designing and coding the Bigcommerce templates into a brand new Country Living Grain Mills eCommerce theme while Jason imported the Country Livings products. What took a few month’s on the previous shopping cart only took a few weeks. 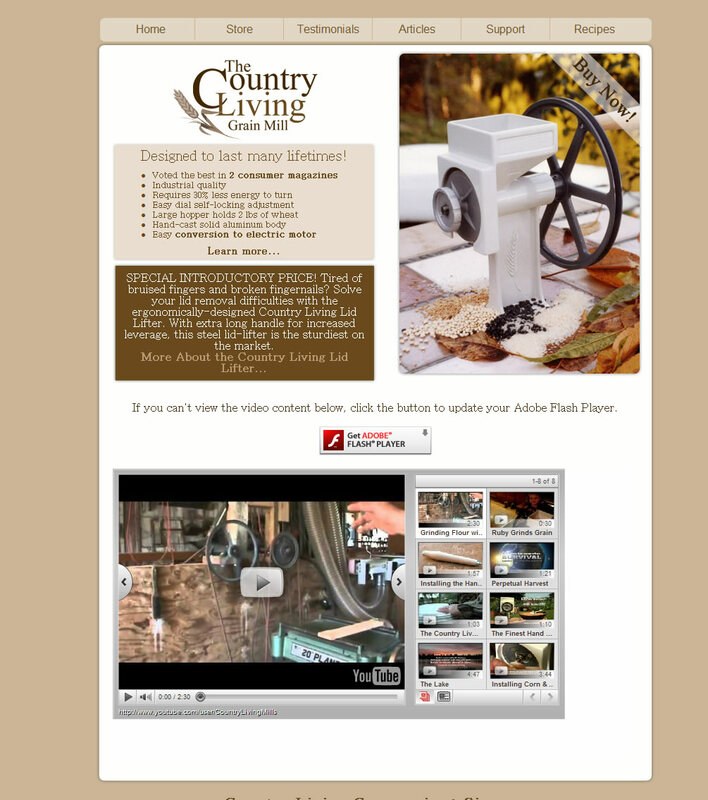 Sales of our flagship product Country Living Grain Mills and all our companion products have increased since we started working with Webvisuals for our websites.